Born: 1897, St. Matthew’s, Ipswich. 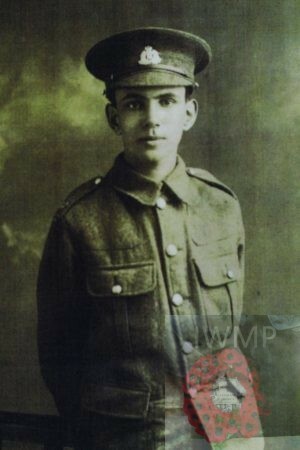 Died on or since death presumed: 15th July 1916; age 19; KiA. Enlistment Location: Ipswich, May 1915. Date of Entry Therein: 27th October 1915 – France. Rank: Private; Service Number: 201041. 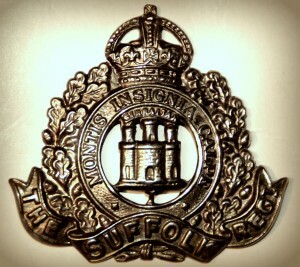 Regiment: Suffolk Regiment, 1st/4th Battalion (351) ‘B’ Coy. Serre Road Cemetery No. 2. Relatives Notified & Address: Son of Charles E. & Rosa Jessie Barfoot, of 110, London Road, Ipswich. 1901 6, Dillwyn Street, Ipswich. Cyril was 4 years old and living with his parents & siblings. Charles Edward Barfoot, 37, a Tailor’s Cutter, born Wangford, Suffolk. Rosa Jessie Barfoot (nee Warren), 37, born Trinity, Ipswich. Charles Edmund Barfoot, 10, born All Saint’s, Ipswich. Rosa Kathleen Barfoort, 8, born All Saint’s, Ipswich. Cedric Edward Barfoot, 11 months, St. Matthew’s, Ipswich. 1911 110, London Road, Ipswich. Cyril was 14 years old and living with his parents & siblings. Charles, 47, a Tailor’s Cutter. Charles, 20, a Clerk – Chemical Manufacturer. Attended: Ipswich School – entered 1909 – member of the O.T.C. Cyril is also remembered on the Chapel war memorial at Ipswich School.